You are probably hearing a lot about EMV in the news and maybe even receiving a few scary calls from merchant service providers who imply that EMV has something to do with PCI Compliance. For the record EMV has NOTHING to do with PCI Compliance and no matter what software you are running on your POS COCARD can manage your EMV. Relax, COCARD is ready for EMV and we are here to help YOU be ready too. 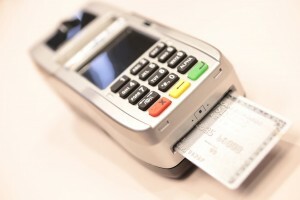 A little background: EMV stands for Europay, MasterCard and Visa; it is the global standard for cards equipped with computer chips and the technology used to authenticate chip-card transactions. Have you heard about all the data breaches in the last few years? EMV is the card association’s answer to these breaches, the technology has been used in Europe for more than 10 years and they have seen a drastic reduction in credit card fraud. In the beginning your exposure will be minimal because the only liability for fraud will be with cards that have chips implanted. However, as time goes on, and if EMV becomes the new standard, your exposure will increase. If a chip card is used at a business that has not changed its system to accept chip technology and this chip card is fraudulent then the counterfeit card can be successfully used and cost of this fraud will fall back on the merchant. What does this new technology mean to your business? The switch to EMV means adding a new in-store technology to your current processing system or not. Chances are you may already be EMV ready but in either case don’t worry, COCARD is here to help! Most importantly the EMV technology means greater protection against fraud in your business. For ongoing updates and the most current information about EMV, PCI, card association updates and fraud alerts like us on Facebook and follow us on Twitter.